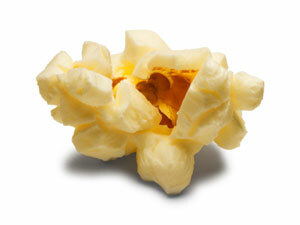 The film begins with a crash... literally. The camera steadily follows a car packed tight with five teen boys who are speeding around Ireland's vast countryside while poppin' pills and drinking liquor. The sounds of N.E.R.D fills the speakers alongside the quick gear shifting as the red tin can (AKA car from the UK that wouldn't pass a US safety inspection) swerves across the two-lane road. Captivated, the audience waits for the inevitable but it doesn't come. The car just weaves back and forth. 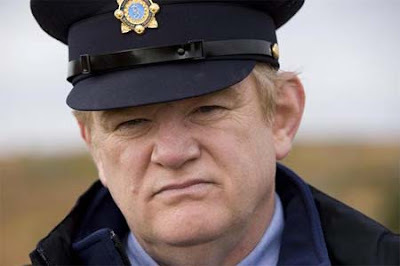 Cut to the film's star, Brendan Gleeson, who's playing Boyle, an Irish guard (or cop) zoning out effectively in his parked Garda car's speed trap. With the camera straight on Boyle in his car, the five Irish teens speed past the disinterested cop and the theater is flooded with the sound of a car crash. Gleeson doesn't react but leisurely takes his time to get out of the car, inspect the now five dead teens sprawled out along the road, and their tiny red car that is now flipped over after hitting a rock wall. Boyle searches for what you think is evidence or signs of life until he finds the pills, states that the kid's mom wouldn't be happy to find those, opens the bag, and drops acid. A dark comedy "The Guard" features unorthodox humor and a refreshing lack of politically correctness. Gleeson's Boyle is a three dimensional character who is good at his job, likes to shag prostitutes, and always seems to make you laugh at what mainstream media would call 'inappropriate comments.' The other additions to the cast, Liam Cunningham, and Mark Strong - to name a few, swirl around Boyle's as he tries to bust a drug smuggling ring with an F.B.I. agent played by Don Cheadle. Writer/director John Michael McDonagh did an amazing job showcasing a side of Ireland that isn't Dublin (funnier if you've seen the movie) by bringing a witty lead character who doesn't apologize for who he is... and even with screenplay's constant jabs toward Americans, English, and even Ireland you walk away loving the characters and the story that came alive on screen.